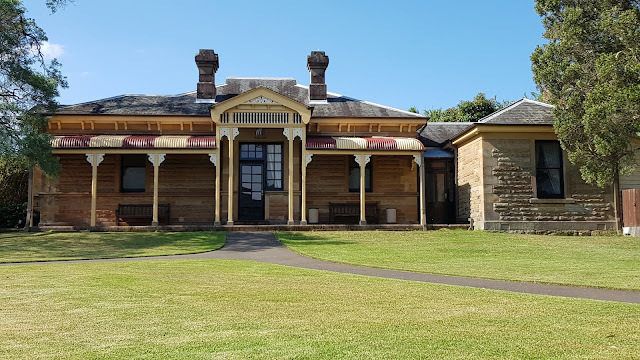 The Superintendent’s Residence is located just inside the Paddington Gates entrance of Centennial Park along Oxford Street, in the eastern suburb of Paddington. This heritage listed building was was completed in 1888. Today, it can be hired as accommodation or for events. The building is quite attradtive. I would guess it is popular. Next time we are Sydney I hope it is not too hot to explore, as it was last February! Thanks for your dedication in visiting my blog, Kay. I'll keep searching for buildings of interest around Sydney. So beautiful building. Nice post. Looks like a good spot for wedding reception. Pretty nice spot for an event, that's for sure.